The DCE series die cast aluminum enclosures from Laird are an innovative antenna system which gives the operator ultimate system flexibility. 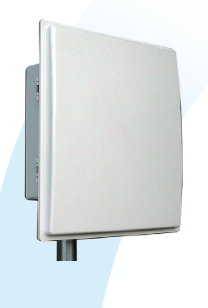 The die-cast enclosure is available as a stand-alone enclosure, with an integrated low-gain antenna, or with a detachable high-gain panel antenna. Antennas are wide band for spectral flexibility. Radomes are UV resistant ASA plastic. Hardware is stainless steel. The antenna systems come with a pigtail cable with choice of connectors to adapt to any available radio equipment. There is a removable and customizable user mounting plate inside for mounting electronics. The antenna models come standard with Laird patented RJ45-ECS field replaceable ethernet connector feedthru.